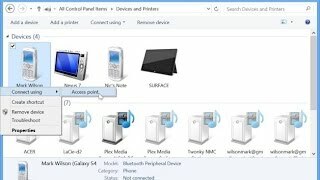 How to get Internet access from your computer or laptop if cable Internet is not available? You can go to the neighbors or visit a shopping center with a laptop, but you can solve the problem without getting up from the table. You are able to customize your android phone for mobile Internet tethering via Wi-Fi. Now, you will learn how to do it. by using a free program from Google Play. Now, we will describe each of these methods in details. Note that this method may not suit you. This is due to the fact that Android device can be used as a Wi-Fi modem only if the Android version is 2.2 (Froyo) or later. It is possible to use the mobile phone as a hotspot only if the tariff plan of your SIM card provides mobile Internet, if the latter is configured and there is money on your phone. You can learn all this information from your mobile operator, as well as get the settings needed to access the Internet on your phone. If all of the above is done, you can continue with the connection. This manual is written using the smartphone with android 4.0.4 as an example. 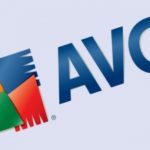 But if your device has another version of the operating system, do not feel embarrassed – your actions will be little different from the ones described in this article. First, you need to go to the settings of your device. In the “Wireless and network”, select “Data Transfer”. Turn on mobile data by moving the slider to the right. In this case, the slider becomes blue. 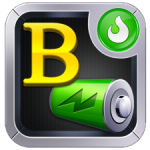 After that, the letter E icon should appear in the notification bar at the top of the smartphone, above the level of the signal. This means that the data exchange between your phone and the Internet began. Go back to the previous menu and choose “More”. Next, click “Wi-Fi Access Point”. In this menu, enable this function by setting the tick in the first line. After this, you will see a warning that there can be fee for using the Internet. Press OK.
Lower, you will see the “Wi-Fi access point configuration” item. In the settings you can specify the name of the network, as well as the type of data encryption. Usually, it is recommended to set WPA2/PSK and to specify the password that contains 8 characters. After that, save your settings and exit. 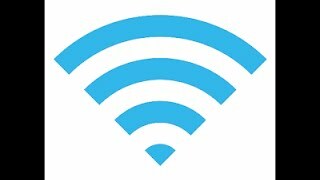 In the notification bar at the top of the screen you will see an icon that is similar to the Wi-Fi sign. Return to your computer. In the tray on the taskbar, click on the icon of the Wi-Fi signal level, and find your network in the list of available ones. Click the connection, enter the password. Now we can use the Internet on a computer. 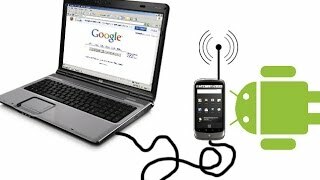 Now you know how to tether the mobile Internet via Wi-Fi on Android. If there are any reasons why you cannot use standard ways to set up Wi-Fi tethering, then you can use programs which can be downloaded from Google Play. There are lots of such programs that you can choose from. There are also free apps. Now, we will tell you about a program called Osmino: free Wi-Fi tethering. You need to connect your smartphone to the internet to download and to install Osmino. Launch Google Play and type the name of the program in the search bar. After the download and installation, launch the app. This program has quite simple interface. You just have to type in the name of your network and to decide if you want to set the password protection. If this network has to be protected with a password, then put a checkmark and come up with a password. Then press “Tether” button. 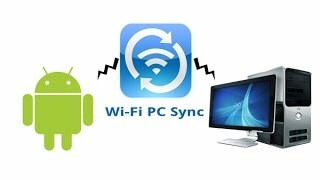 Now you can connect to Wi-Fi access point created with android from the PC or other device. First of all, you have to turn on the mobile internet on your Android device, even if using standard software. To stop tethering, press the “Stop Tethering” button in the Osmino menu. 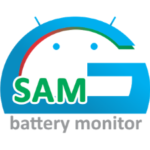 The main feature of this program is that it doesn’t require root rights on your smartphone to work. As you can see, the Wi-Fi tethering on android is not that difficult and anyone can do it!